When having large parties, I want all the food to be done and taken care of so I don't have to worry about a thing when people are here. Nothing is worse then doing a million dishes when I want to be relaxing with my guests. Last weekend, it was Simon's baptism. We did it on Saturday night which makes it fun to have a little dinner celebration afterwards, however, we weren't going to get back from mass until almost 6. By that time, the kids were going to be really hungry. I decided to do a taco bar because I could have everything done, cut and in bowls or crock-pots when we got back ... simply open the fridge, take the lids off the bowls and serve. 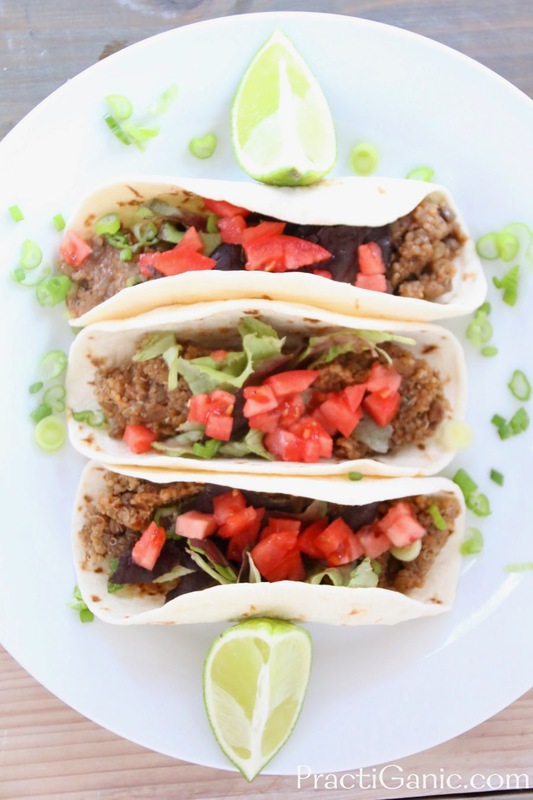 I never made a crock-pot taco 'meat' before and I didn't want to chance it on a night when I was serving 30 people and it wouldn't be done in time. Luckily, we had a party a few weeks back for me to test a recipe on. 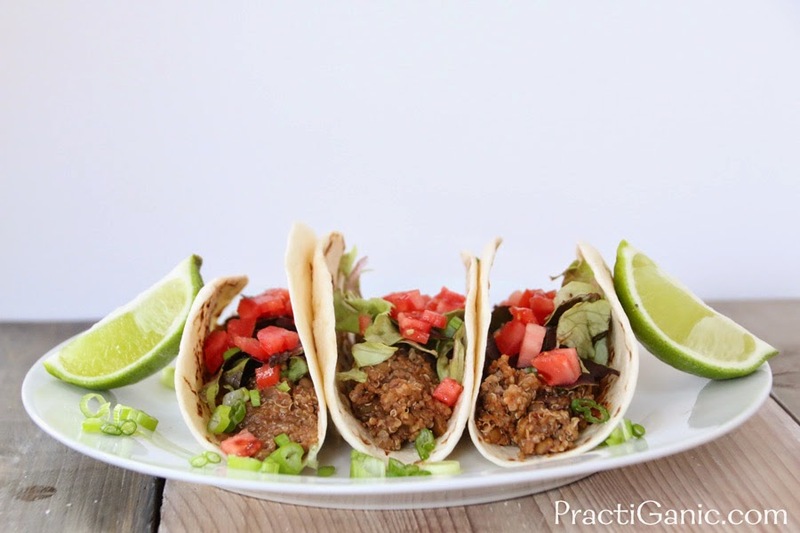 Slow Cooker Lentil and Quinoa Tacos went over great at both parties. I served them with flour tortillas and as well as tortilla chips, corn salsa, spanish rice, black olives, chopped kale and cheese. The taco 'meat' froze very well too, so make a double batch and have it ready for next time! This is perfect football party food. Does it get any easier?!? Put all ingredients into a crock-pot (use at least a 1.5 quart slow cooker). Cook on low-medium heat for 6 hours. Mix it up a couple times if you are available.